Share your precious moments with thredUP for a chance to win great prizes! Each week thredUP will launch a new photo contest with a new fun theme. 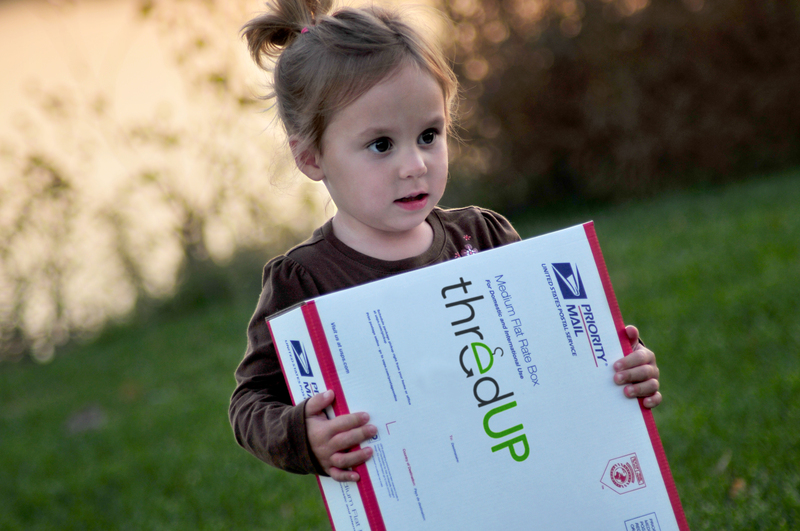 Submit a photo between Mon-Weds each week, and thredUP will announce a winner on Thursday! We will announce the contest theme on Monday each week. Photo entries must be submitted by Wednesday, 11:59pm PST of the same week. Submit a photo via our Photo Contest tab on our Facebook page. Please include a caption! Winners will receive an exclusive thredUP t-shirt and a blog post sharing your photo with the community. Your prize will be shipped within a week of the contest end date. Other prizes may vary weekly! Where can I find out the contest theme each week? We will announce the contest theme each Monday. You must be a thredUP Facebook fan to enter the contest. You do! You will be able to vote for your favorite entry in the Photo Contest tab on our FB page. What will you do with my photo? Winning entries may be selected as potential marketing images, which could appear on our website, in magazines, on blogs and more. Of course, we will ask your permission and get a written photo release form before we use any of your photos! thredUP’s Back-to-School Photo Contest – Winners! !